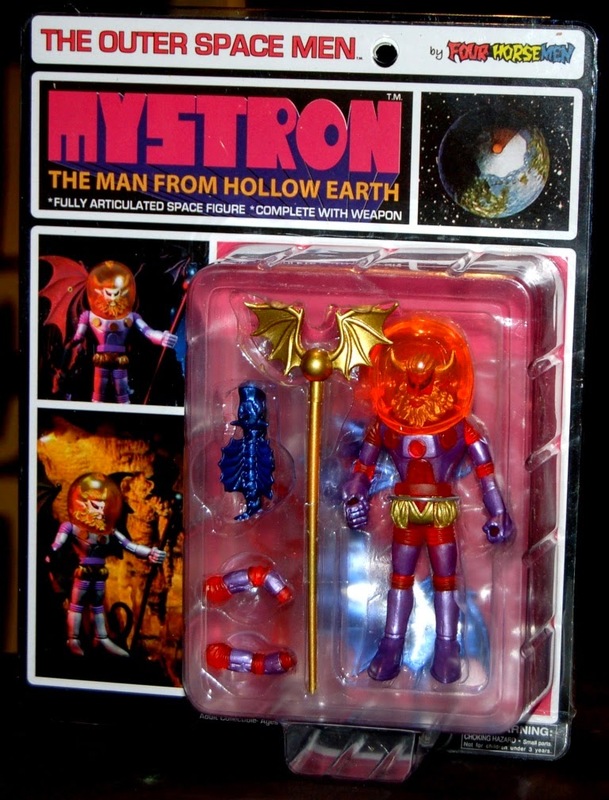 Mystron, The Man from Hollow Earth is a character from The Outer Space Men toy series. 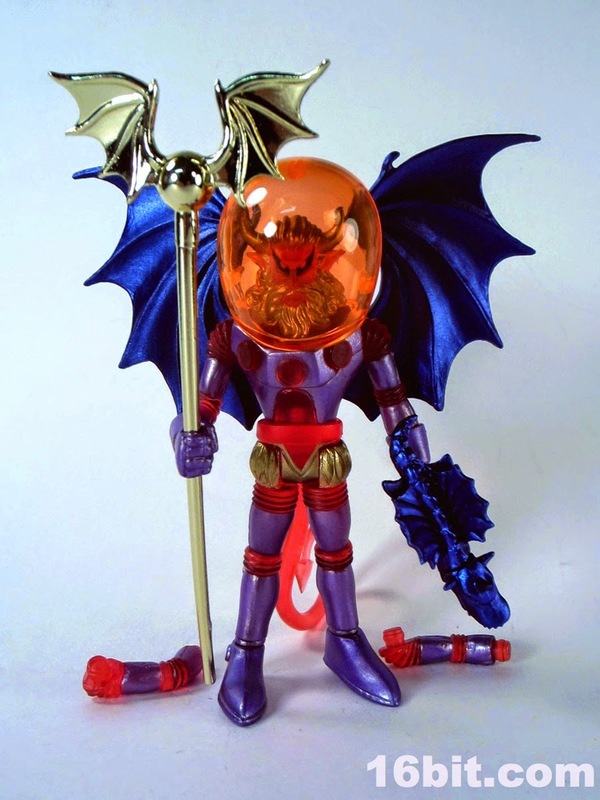 The toy line was originally produced in the 1960s as bendy figures. 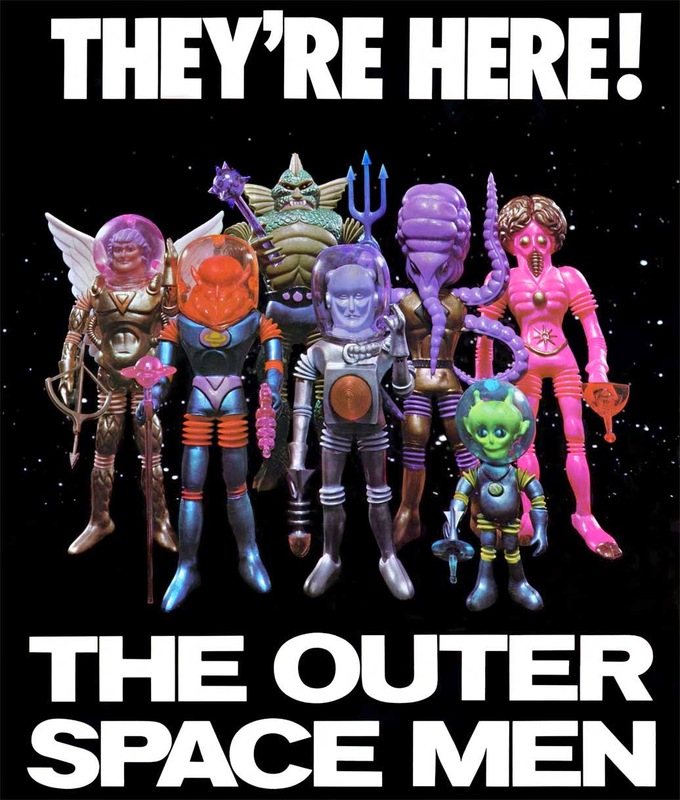 The characters primarily were men from each planet of the solar system and other aliens. Then in 2008 a new company re-released more traditionally articulate versions of the old characters and added some new ones to the line up- drawing from other realms and planes. One of new guys was Mystron.